A new Public Spaces Protection Order (PSPO) has been introduced in Peterborough in a bid to clampdown on anti-social behaviour. From Monday, SaferPeterborough Prevention and Enforcement Service (PES) officers, and private enforcement company Kingdom, will be enforcing the order which covers Millfield, New England, parts of Eastfield, Lower Bridge Street and the Embankment. 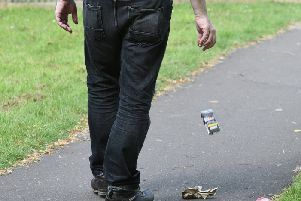 The PSPO means that anyone caught littering, spitting, urinating or defecating in public will receive an £80 fixed penalty notice. Other offences include failing to throw away or hand over alcohol being consumed in a public place, or failing to leave an area if thought to be causing harassment or distress, if asked by an authorised officer. The first PSPO covering the city centre included tackling unauthorised cycling. Signs will shortly be erected in the areas covered by the new PSPO.